In 1787 David Thompson, a Hudson bay company trader and the first recorded European to visit the area. 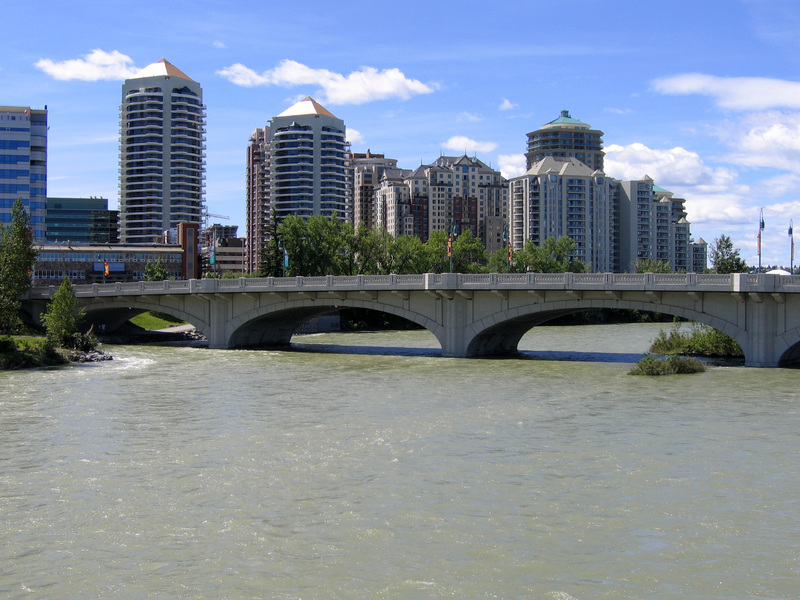 John Glenn was the first documented European settler in the Calgary area in 1873. In 1883 Canadian Pacific Railway reached the area and a rail station was constructed and Calgary began to grow into an important commercial and agricultural centre. With the arrival of the railway, the government started leasing grazing land at one cent per acre, as a result of this large ranchers and meat packing industries took advantage. Shaping the future of Calgary for years to come. 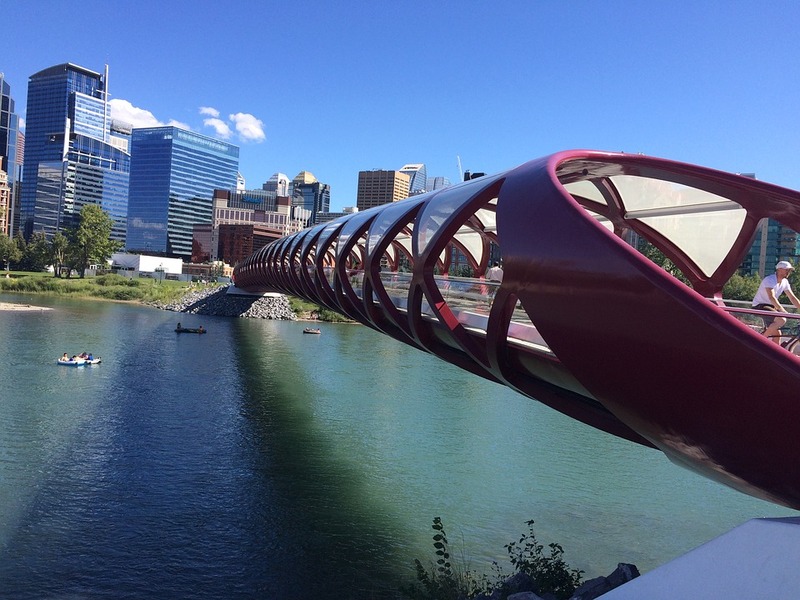 The city of Calgary quickly took a turn into the oil city of Canada. First discovered in Alberta in 1902, but didn’t become a significant industry in the province until 1947. The city’s economy grew when oil prices were increased in 1973. Considered the “greatest outdoor show on earth”, the Calgary stampede is a 10 day event that attracts over 1 million visitors per year. Featuring the world’s largest rodeo, a parade that goes through the downtown core of the city, a midway, stage shows and some of the greatest concert venues, this is an event that can’t be missed. Calgary weather is as unpredictable as it gets, this can put a damper on us landscapers. having short spring and summer seasons in Calgary or having them filled with rain makes getting a good start on your lawn care or landscape very important to residential and commercial businesses. Spring the start of landscaping season our days are busy with spring clean ups, aerating, irrigation start-ups and landscape construction for residential customers. Commercial customers have a bit of a different approach at the start of season with line painting, parking lot sweeping and removing the rocks from the turf. As summer begins in Calgary landscaping is in full swing, with the added bonus of more daylight. Many Calgary landscapers are running off their feet 12-14 hours a day / 7 days a week. 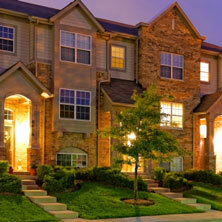 When Project Landscape started out, the company was built for customer service in the landscape industry. Living in such a large city, Calgary is filled with lawn care, fertilizing and landscape construction companies that under-cut their competitors just to land the job. By doing so, their service starts to suffer…therefore making you the customer suffer. Being a customer service company and knowing the competition in the landscape industry, we strive ourselves on our reputation that exceeds customers expectations. If a customer isn’t happy with our service, we want to know immediately. We don’t waste time going back and forth playing the blame game. 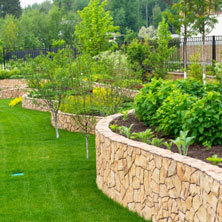 Get a free landscaping quote now! 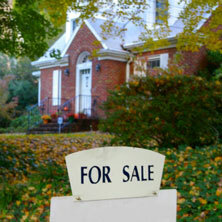 Get A Free Landscaping Quote!